Donald Trump’s election marks a turning point for Europe. 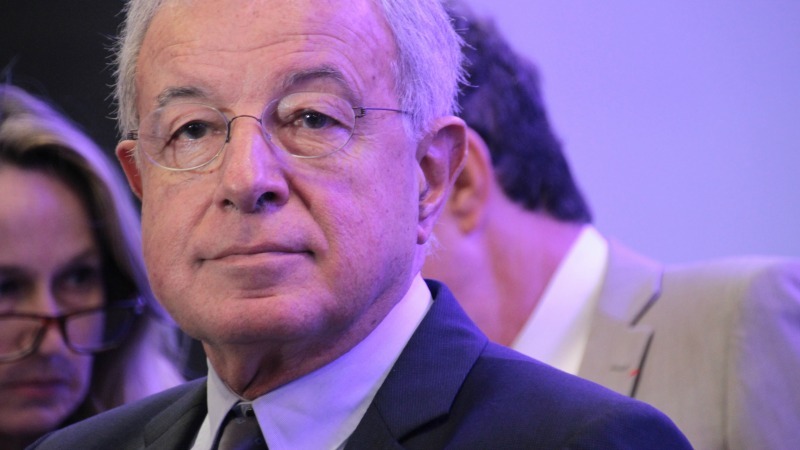 It is time for the EU to take defence and foreign policy into its own hands and assert its values on the world stage by bearing the torch of freedom and democracy, Alain Lamassoure told euractiv.com. Alain Lamassoure is a French Republicain MEP and a member of the European Parliament’s economic and monetary affairs committee. He was France’s Europe minister in 1993-95 and a representative of the European Parliament at the Convention which drafted the European Constitution in 2002–2003. How will Donald Trump’s election impact on transatlantic defence cooperation? Should we expect to see the United States taking a step back? Firstly, anything Donald Trump has said on foreign policy so far should be discounted. He has absolutely no knowledge of the issues and it is only when he takes up his post, surrounds himself with advisors and listens to his allies that he will be able to lay out his definitive vision. But I do think that his victory will accelerate the process of American isolationism started by his predecessors, particularly Barack Obama. Obama had already announced the implementation of a foreign policy that placed American strategic interests to its West, focussing on the Pacific and China. And he believed it was up to the Europeans to take care of what he called our back yard. With their response to the Arab Spring, the war in Syria and the Ukraine conflict, the Americans have showed that it is up to Europe to take the lead in political, diplomatic and maybe even military actions, while the US keeps a lower profile. And this Trump victory will be seen in Europe as a sign that we urgently need to take our destiny, our defence and our foreign policy into our own hands. We have waited too long and now we have to catch up. But Obama went back on this policy and was forced to re-engage on the European stage, mainly because of Russia’s resurgence. Do you expect Trump to continue this move towards re-engagement? It is a very limited re-engagement. At its last summit, NATO decided to send 5,000 soldiers to walk around on the alliance’s border as a kind of gesticulation towards Putin’s Russia. The Americans did not want any part in the Kyiv agreements, which stabilised the problem in Ukraine without resolving it. It was Angela Merkel and François Hollande who negotiated with presidents Poroshenko and Putin. So this change is already under way and it is irreversible. This inescapable relationship between defence and the survival of the West, which grew out of the threat of nuclear war, was broken by the fall of the Berlin Wall and the end of the Cold War. Of course, we should celebrate the end of the Cold War, but the inevitable consequence, which has been foreseeable for the last 25 years, is the progressive distancing of the United States. They now have other priorities and we have done nothing to prepare for this. Now we urgently have to take our defence into our own hands. I cannot understand why successive French presidents – Nicolas Sarkozy and then François Hollande – have not used the provisions we introduced in the Lisbon Treaty in 2009 to lay the foundations for European defence. Now is the time to do this. So do you think the election of Donald Trump could be the trigger for European defence cooperation? I hope so. This election should lead to profound questions about how democracy works in all of our countries. And at the EU level, we have to complete the construction of a real political Union, because beyond the problems of defence, we cannot expect an American president to stand up for the broader democratic values we share. The Trump paradox is that he managed to get himself elected on a promise to re-establish American values, whilst trampling all over them throughout his electoral campaign. This means that Europe will be particularly lonely on the global scene in defending democracy, human rights, human dignity and its other values. So we have a responsibility to assure our own security, our own defence, our own interests – but also to bear the torch of democracy and freedom in the world. Do you think that with Trump in the White House, Russia will feel emboldened to take advantage of its position, as it did in Ukraine? Isn’t the disunion within the transatlantic alliance already something of a victory for Putin? At the moment, yes. Anything that weakens America is clearly good news for the enemies of America and the values it shares with Europe. We will see later on. Trump will only really be in the White House in January. And a lot can happen between now and then. Much will also depend on the majority he has in the Senate and the House of Representatives. In the meantime, Putin will have his own problems. So far, his adventurous, warlike foreign policy has helped him forget his extraordinary domestic failures. And there are other threats too, other urgent matters. For example, China’s status at the World Trade Organisation, which will be decided on 11 December. This is a major issue for the Americans, as well as us. I repeat. If the EU can’t formulate a common policy on toasters, how is it going to manage complex command and control procedures in the event of a Russian invasion? Laughable! Richnewts, you comment made me laugh because it was really dumb. As I wrote today on another Euractiv Topic about the withdrawal of US Troops around every corner of the World the I assume that there will be no more other possibilities that to unite the EU Army ..Already an EU headquarter is ongoing ..so things are going to accelerate. Why not ? Why relying always on US troops ? Of course this will suit the Putin stooges very nicely aiding their long term aim of emasculating NATO. HOO – RA ! My taxes will decline that my country saves from footing the bill the Europeans don’t spend for THEIR defense. Me, I’m happy to repeat. Europe must urgently take defence into it’s own hands. Repeat. EU can not agree about common policy aginst invasion of muslim immigrants so how EU colud find a common defence policy. “It is time for the EU to take defence and foreign policy into its own hands”! Without asking for the citizens’ opinion? This might strengthen the EU opponents and lead other countries to leave the Union. The ever more frustrated citizens might like to give their view on a common defence and foreign policy and on the future of Europe – e.g. in “Europaen Primaries” on http://www.our-new-europe.eu ! ‘human rights’ as they are defined now are what is destroying the western societies, therefore they cannot be counted among the western values. (unless you consider suicide a positive thing). Any state that grants the same rights to any einwanderer as to the established natives is in practice a treat to the breading line of the nation, the people of flesh and blood that founded that state. The universal state that is based on the idea that a nation is nothing but an abstract set of rules applicable within the borders of a piece of land, that considers the people living there as faceless, rootless interchangeable people is like a hideous, mindless monster grinding away the future of its founding stock. If you point that out and suggest that might not be a good thing..you are branded a racist, a xenophobe, etc. This is very unjust, people have a right to complain about regulations that have a very real negative impact on their lives.